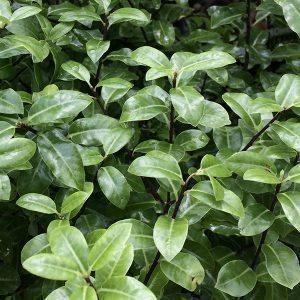 If you are looking for a low growing hedge or border plant then the naturally compact growing variety Pittosporum tenuifolium ‘Golf Ball’, has a number of great attributes that appeal to landscapers and gardeners alike. It naturally maintains a compact shape, is very easy to prune and with attractive mint green foliage adds a little lightness to the garden. It can be used in coastal conditions as it is reasonably salt tolerant. Although best in full sun, it will also grow in a little shade. This variety branches well from the base so provides dense foliage to ground level. It requires very little shaping to stay neat. The small foliage makes pruning easy. It is regarded as drought tolerant once established. With bright green foliage, glossy and naturally dense, Pittosporum tenuifolium ‘Golf Ball’ makes a good low hedging, border or container plant. It makes a good alternative to Buxus varieties and if need can be pruned to a formal or semi formal shape. Its natural growth habit is to reach around 80 cm in height and it forms a good ball shape. It grows well in full sun to part shade, and once established requires very little extra water. This attractive little plant will flower, however they are mainly inconspicuous and are not a feature. It is available from wholesalers in 14 cm pots and upwards. Pittosporum tenuifolium ‘Golf Ball’ is available for sale from the following wholesale growers.